Showcase your expertise and gain exposure for business opportunities with brands. 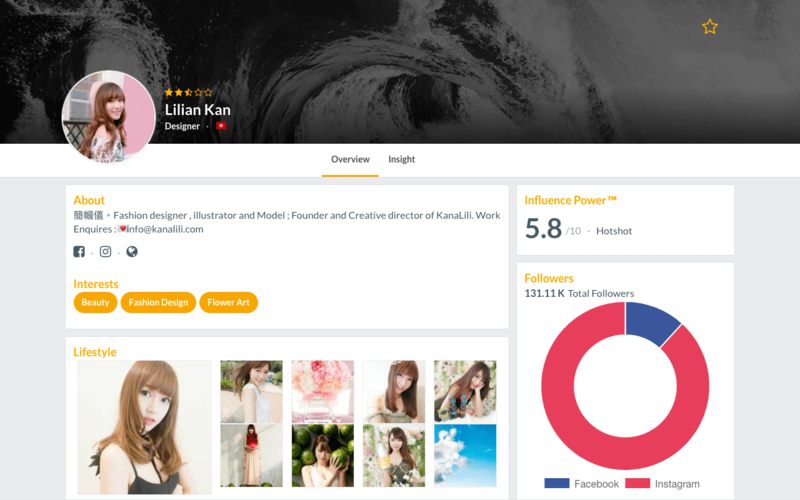 Create your own comprehensive profile and showcase your best contents from your social media channels. Pick your identity or interest tags which suits you the most and start telling the world what you can do best at. Connect with more than 200 international brands and turn influencer as a sustainable career. We will ensure you that the conversation will be direct and simple. Create your own Cloudbreakr profile. Why should I join Clourbdreakr? There are currently more than 200 brands on the plaform which are constantly looking for influencers for collaborations. At Cloudbreakr, influencers have the flexibility to apply to different job campaigns and work with your favourite brands. It’s easy. If any of your social media accounts has more than 5,000 followers, you can simply register a Cloudbreakr account and connect your social media accounts. Our platform will automatically generate your own unique profile for you based on the information you have provided. Do I need to pay or share any profit with Cloudbreakr? No, you don’t need to sign contract nor share any profit with Cloudbreakr. You can apply to different campaigns or receive invitations from brands. How do I know if I have received invitations from brands? Every campaign should comes with a full description and budget, you can directly respond to the invitations and provide your own quotation or other relevant information that you would like the brand to know. Can I actively apply for campaigns myself? Yes, there are campaign which are open for all influencers to apply. 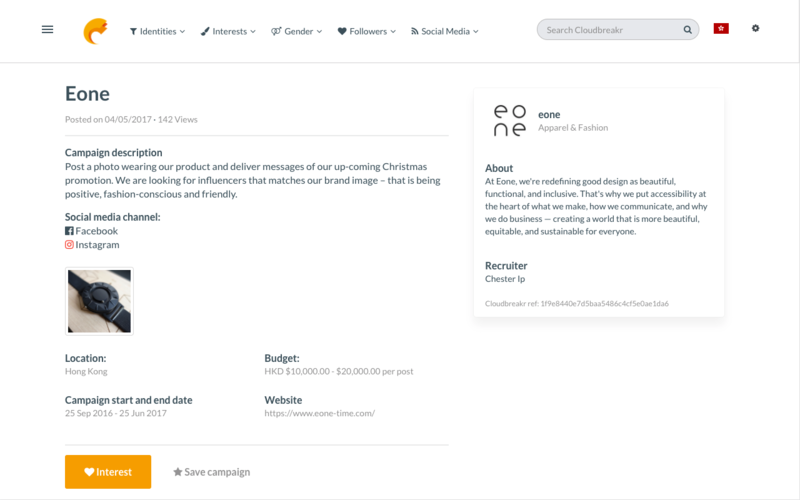 You can show “Interest” to a particular campaign and connect with the brand directly. Don’t worry! We have a dedicated team who are here to help you with any problems you encounter when dealing with brands.